Our laboratory is well equipped for a wide range of experiments and computational modeling. Behavioral Research: Our laboratory has two large rooms equipped with computers for testing human participants in experiments. Our laboratory also has a meeting room with a large conference table and workspace. Data Analysis. We have several desktop computers equipped with a wide range of software for data analysis and presentation, including MATLAB, SPSS, Sigmaplot, Microsoft Office, and other programs. Computational Modeling. We make use of the high performance computing facilities at Vanderbilt’s Advanced Computing Center for Research and Education (ACCRE). ACCRE currently maintains a beowulf cluster with well over 7000 processing cores, a large gpu cluster, and a near-petabyte storage system. Our laboratory also has two Dell Precision workstations, one of which is a dual-processor, 40-core workstation equipped with a P100 gpu card. We also have an NEC workstation that serves as a web server for online experiments and hosts laboratory web sites as well as serves an additional compute node for modeling. We also share a Dell Precision dual-processor/40-core/P100 workstation with other labs; this workstation also serves as a gateway to a shared 200TB file server. Eye Tracking. Our laboratory shares an SR Research EyeLink II eye tracking system. We are just begining to archive data and supplemental information from our publications. More will come later (I’d say soon, but I’d be lying). Click here for supplemental information for Folstein, Gauthier, and Palmeri, How Category Learning Affects Object Discrimination: Not all Morphspaces Stretch Alike. Click here for supplemental information for Folstein, Gauthier, and Palmeri, Mere Exposure Facilitates Learning of Novel Objects. Click here for supplemental Information for Richer, Gauthier, Wenger, and Palmeri, Holistic Processing of Faces: Bridge Paradigms. Working simulations of the independent race model and the interactive race model described in Boucher, Palmeri, Logan and Schall, Inhibitory Control of Mind and Brain: An Interactive Race Model of Countermanding Saccades can be found at http://www.psy.vanderbilt.edu/faculty/palmeri/psyrev07_model/. I’ve compiled a bunch of useful resources for computational modeling as a part of a graduate-level modeling course I teach : PSY318 Computational Modeling. John Kruschke’s Virtual Mentor for Graduate Students This is a great resource for beginning graduate students (and beginning faculty mentoring graduate students for the first time). Thanks John for putting this together. Diffusion Model Analysis Toolbox (Vandekerckhove and Tuerlinckx) Thanks to Joachim and Francis for developing this great suite of MATLAB tools for simulating and fitting the diffusion model. G*Power3 is an easy-to-use general purpose package for statistical power calculations. Professional Development Information is a web site I put together for our graduate students in Psychological Sciences at Vanderbilt. It gives some useful information on creating a scientific vita and has links to a number of useful sites on early career development and grant writing. Our research is enhanced by our affiliation with research centers that provide important funding and support for research infrastructure. Temporal Dynamics of Learning Center (TDLC). Our laboratory is part of the Perceptual Expertise Network (PEN), which is now one of four research networks in a new NSF funded Science of Learning Center devoted to studying the role of time and timing in human learning. The center funds some of our research as well as network activities of PEN. 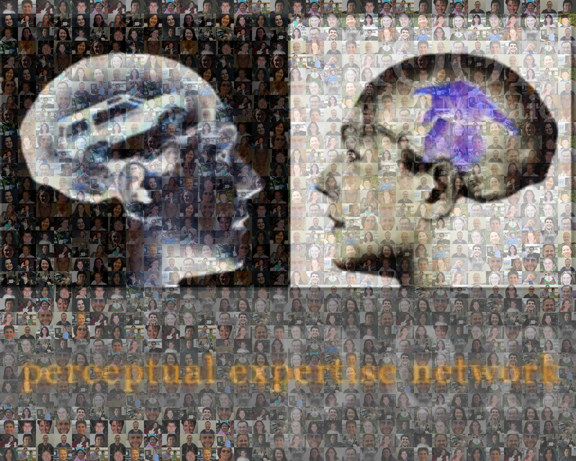 Perceptual Expertise Network (PEN). PEN is a collaborative research network working together to explore how different brains approach object recognition and categorization. Advanced Computing Center for Research and Education (ACCRE). ACCRE is the high performance computing center at Vanderbilt. It supports a cluster of well over 1000 processors on linux computers that we regularly use in our computational modeling research. Center for Integrative and Cognitive Neuroscience (CICN). CICN provides important administrative and computer support for many aspects of the research done in our laboratory. Vanderbilt Vision Research Center (VVRC). The VVRC provides our laboratory administrative, computer, and graphics design support. Vanderbilt University Institute for Imaging Science (VUIIS). VUIIS supports a 3T and 7T research-only MR scanner for human brain imaging research at Vanderbilt. Picture taken at an OPL-CATLAB meeting at which Anders Ericsson visited. 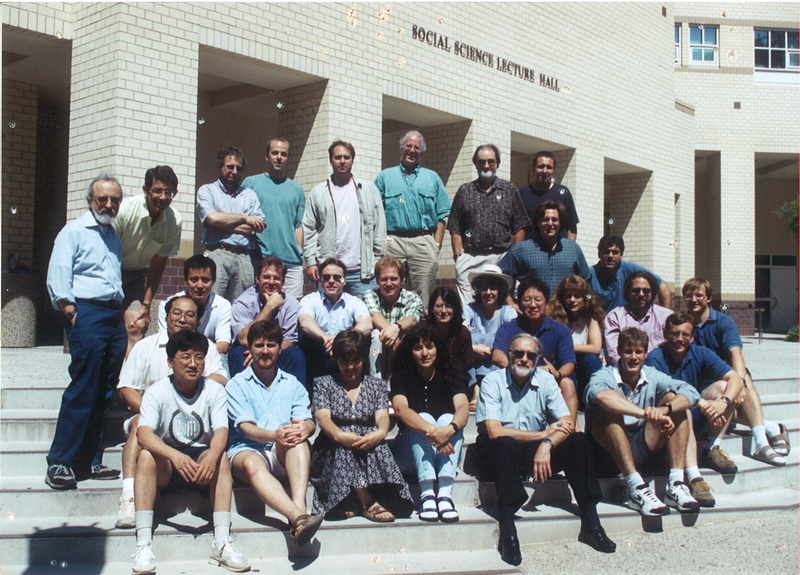 Picture taken at the 1997 summer workshop on Mathematical Psychology at UC Irvine, hosted by Duncan Luce (sitting front row, center right). Click here for a larger version of the mosaic.